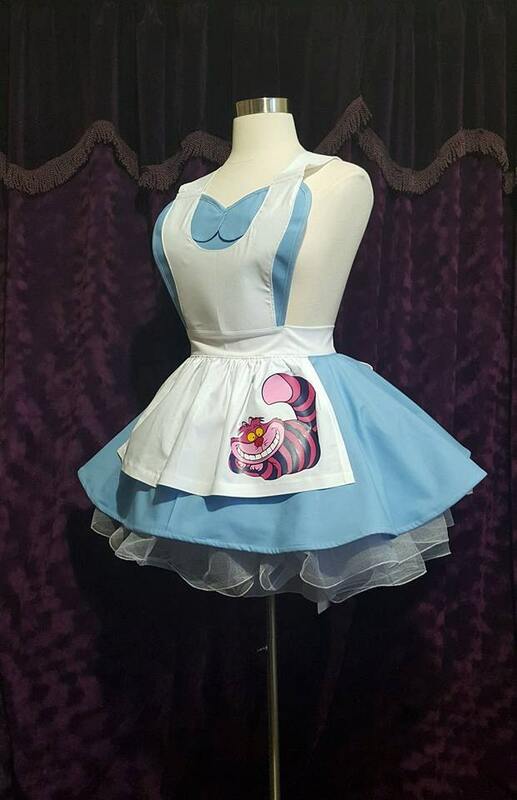 You can pick Eat Me AND Drink Me in this gorgeous apron crafted of the best fabric just for you. The bib is double lined and trimmed with blue bias tape. 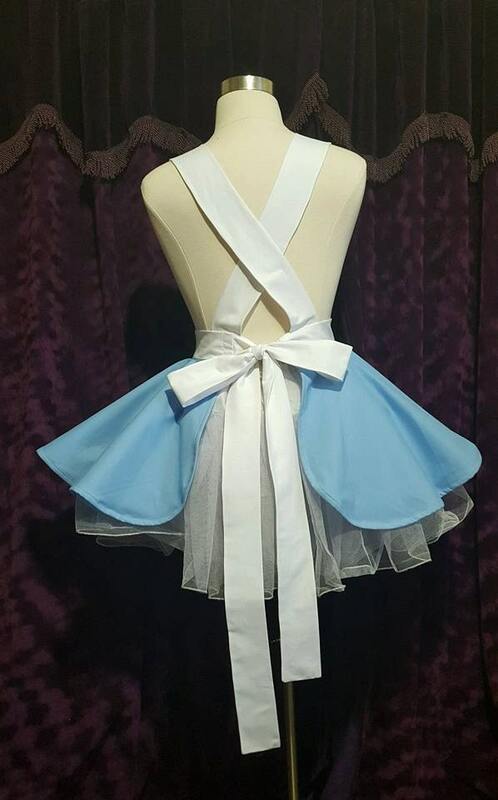 The Top layer of the two-layer apron skirt is double-lined and trimmed in bias tape as well. The waist ties are long and can be tied in a cute bow in the back or wrapped around your waist and then tied in front. The skirt features the iconic cat in a brilliant mixture of colors. The heart-neck-lined bib features detailed strap-work. Detailing is done in high quality washable heat sealed designs. 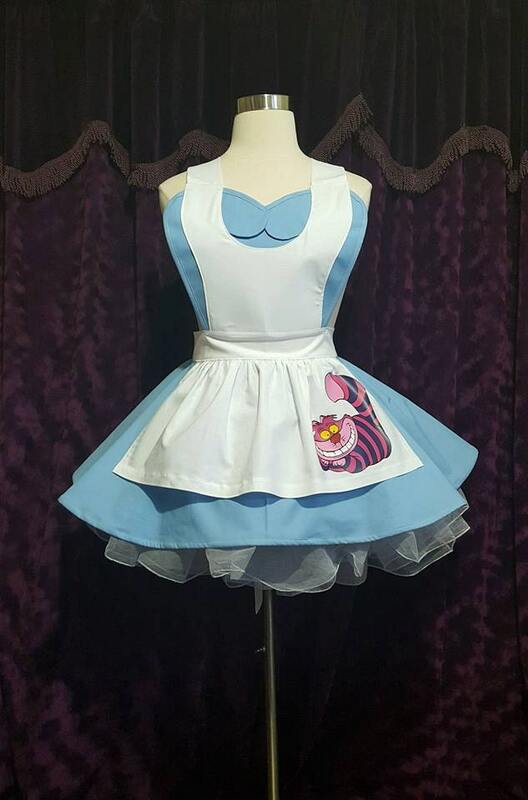 This apron can either be tied around the neck or to achieve the criss-cross strap look you will need to tie and/or pin the neck straps to the waist straps.